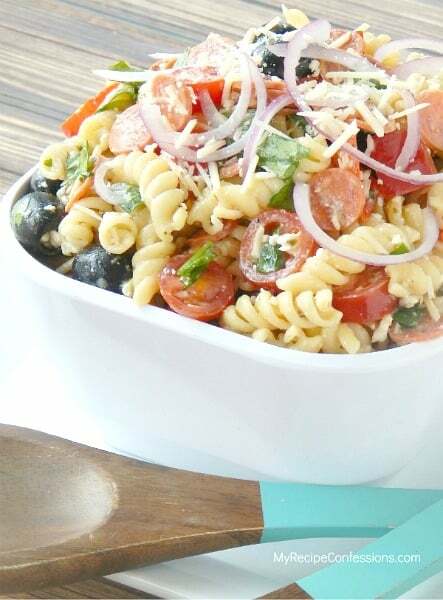 With the summer party season officially starting up this month, it seems like the perfect time to share a delicious collection of pasta salad recipe ideas. You’ll be the star of your neighborhood block party with any of these yummy recipes! This is a collection from other talented bloggers and masters of the kitchen. To view the full recipe for each, simply click on the titles of the recipes and they’ll open in new windows for you. 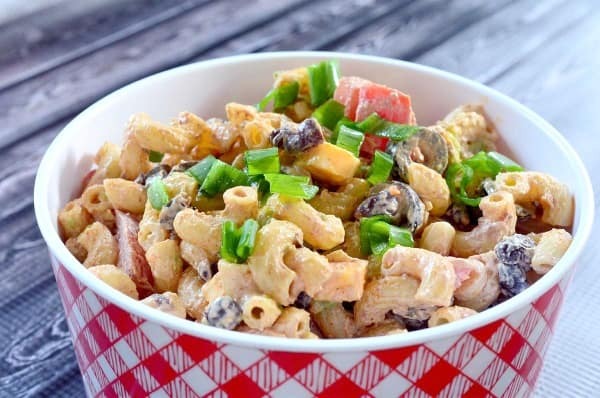 This Seven Layer Dip Macaroni Salad (pictured above) by Life’s Ambrosia looks absolutely delicious! This recipe is sure to be a hit at your next party potluck. 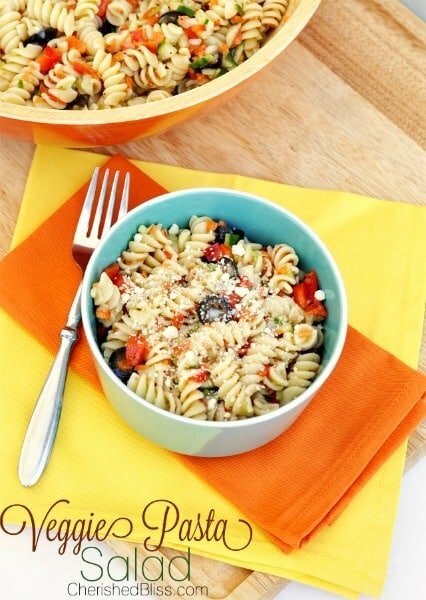 This Ranch Pasta Salad by Six Sisters’ Stuff is a unique combination of seasonings and vegetables. 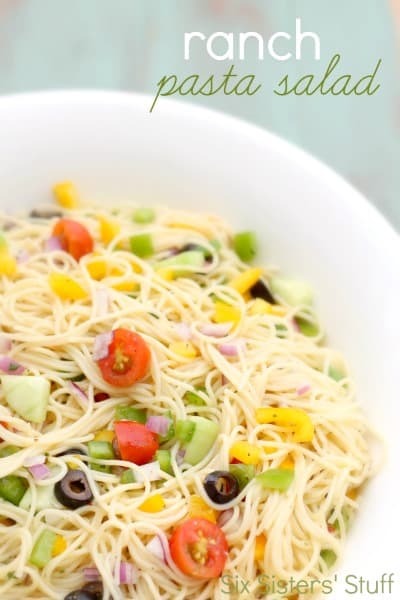 I love that it’s paired with angel hair pasta since you don’t usually see this in pasta salad recipes. 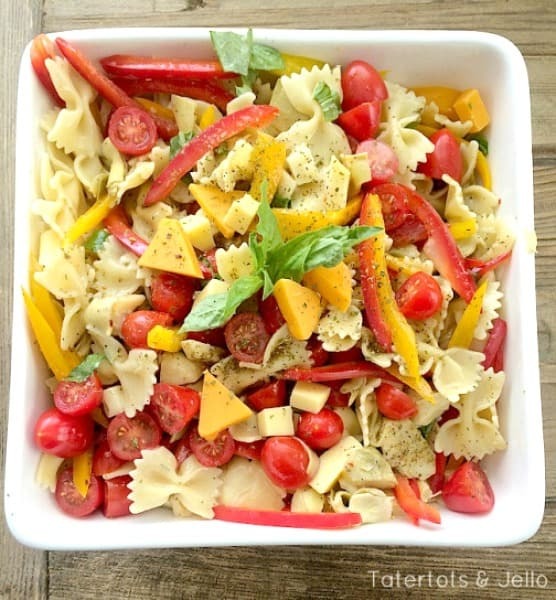 This Springtime Pasta Salad by Tatertots & Jello is so colorful. I love the variety of cheeses in it that gives every bite a different taste. 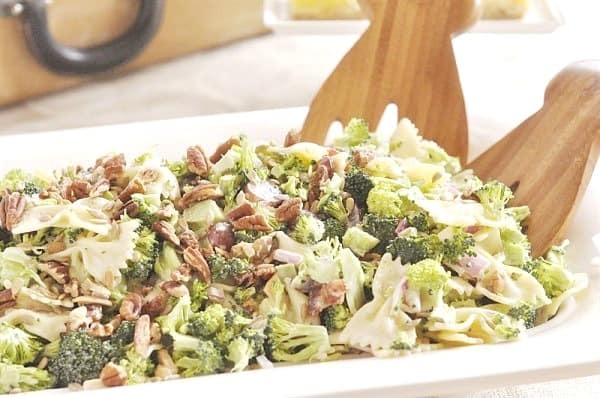 With all the delicious ingredients in this Broccoli Pasta Salad by Your Homebased Mom, this salad looks more like a healthy meal than a side dish. This Easy Tuscan Pasta Salad by My Recipe Confessions as featured on Lolly Jane is packed full of delicious ingredients. I know this is a recipe my husband would love. 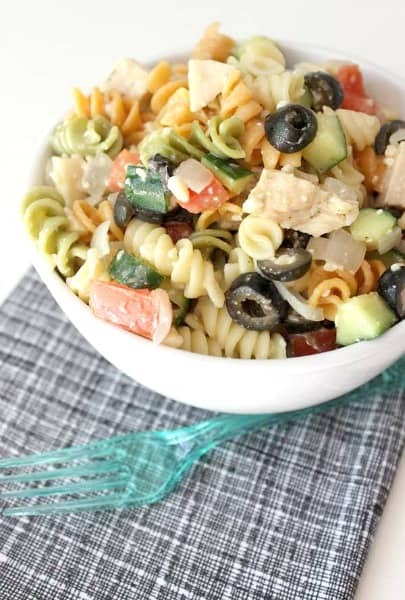 It would be easy to eat your daily recommended servings of vegetables with this delicious Veggie Pasta Salad by Cherished Bliss. Want a delicious deli-style pasta salad without having to go to the local deli? Then you’ll want to try this Easy Deli Style Pasta Salad by The Shabby Creek Cottage. I can’t wait to try your recipe! Thank you for being included.